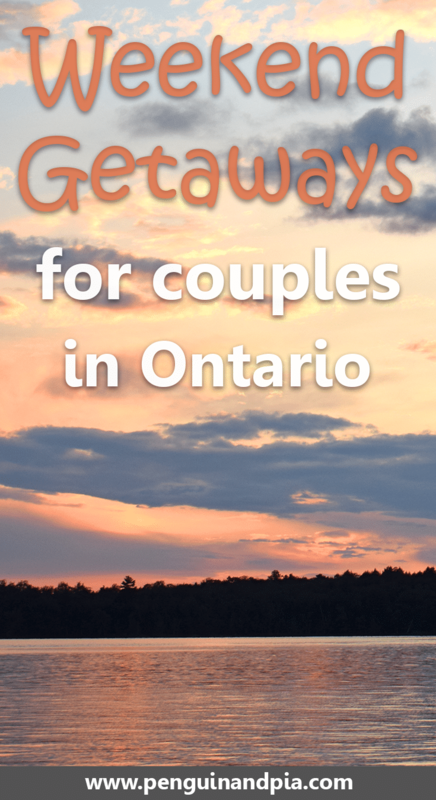 If you’re looking for a weekend getaway for couples in Ontario, you’re certainly in luck! Ontario is a huge province full of adventure – whatever your style. Admittedly, Ontario is Eric’s home province – but he’ll try to reduce the bias in this article! Fun Fact: Ontario is massive. How massive? Well, as the second largest province in Canada you can drive for 24 hours in Ontario and never leave the province. Try that in Europe and you’ll cross at least 5 countries. 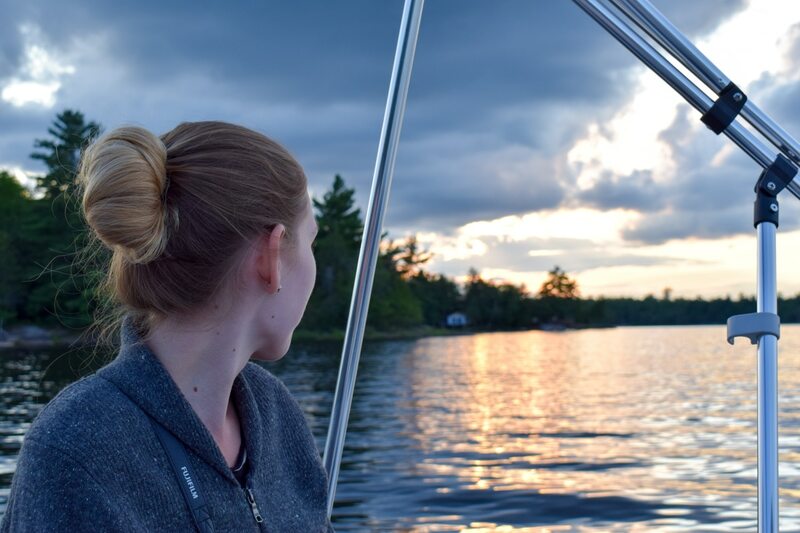 Needless to say – there are lots of opportunities for the perfect getaway in Ontario! That said, finding that perfect weekend getaway for two isn’t difficult – you just need to know where to look. In this article, we intend to highlight some of the better-known places and activities and slide in a few lesser known for you to try out. Whether you’re looking for hiking, the beach, festivals, wine, or a relaxing weekend – we’ve got you covered. 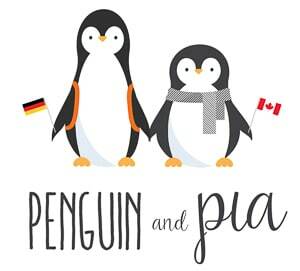 Ready to travel Ontario together? Here we go! If you’ve been working hard and just want to get away and indulge in total relaxation, there’s plenty of places to do that in Ontario! The first thing that comes to mind when people think of Ontario resorts is “Muskokas” – and you’d be absolutely right. There are countless resorts and inns dotted through the famous Muskoka region. We cover some of the smaller inns in Ontario in another post which is on the way in the coming weeks! For this article, we wanted to make it easy. Here’s a handful of the bigger resorts to relax. What’s nice about these places is that whether it’s the summer or winter season, there’s bound to be something for everyone. Yes, yes – we’re starting with Blue Mountain. As the largest ski resort in Ontario, the place certainly has a reputation to be a fantastic weekend getaway in any season. If you’re looking to relax, they offer spa packages and bundles that are sure to make you forget the stressful work week. You can find more information about activities and facilities on the Blue Mountain website. Check availability at the main resort and book a stay to begin planning your weekend getaway. The Marriott at Lake Rosseau is that classic Muskoka resort you might be looking for. Located just a bit north of the heart of Muskoka and perched on top of a tall granite bluff, the Marriott is a secluded resort tucked away in Ontario’s wilderness overlooking Lake Rosseau. They offer spa packages for couples that include the usage of their “couples-designated” spa areas. The Marriott has constantly been named a top resort in Canada by top travel magazines like Condé Nast. Sunny and warm in the summer and beautiful and crisp in the winter – you can read more about the resort here. Located in Huntsville, about 3 hours from Toronto you’ll find Deerhurst Resort. This massive complex of water fun, golf, spas, and outdoor recreation truly has it all. Open year-round, they have a variety of live shows and also offer spa packages to get away with your partner. You can read more about what’s going on at Deerhurst and book your stay here. Ontario is known for its wine. Again, we can thank the geography of the province. There’s land that is perfect for growing grapes all over the province – specifically in Southwestern Ontario. Many of you might first think of the wine region “Niagara-on-the-Lake” – and this is considered one of the top destinations for visiting wineries in Ontario. You can even take a tour to many of the wineries for tastings by rent bikes or taking a private vehicle between the wineries. You could rent a place or find accommodation nearby in the region or even visit Niagara Falls since you’re down that way anyway! To give you a teaser, we recommend checking out Ravine, a beautiful winery situated in the heart of Niagara on the Lake. The other wine region in Ontario is Prince Edward County – known as the fastest growing wine region in Ontario. Home to over 40 wineries and breweries, it’s easy to see why the area attracts more and more visitors each year. Close by, you’ll be able to go to Sandbanks Provincial Park. So head to one of the wineries, grab a bottle, and crack it on the sand dunes and the shores of Lake Ontario. It’s a weekend you and your special someone won’t soon forget. Sandbanks do a fantastic job of creating a wine experience for guests. Their signature “Baco Noir” is a red that is absolutely delicious. You’ll buy multiple bottles and be converted to a red wine drinker even if you’re not already. Seriously. Their staff members are knowledgeable and the property and showroom are fun and classically Ontario. You can check them out here. There are lots of great locations in Ontario for a dynamic duo to get away and enjoy being a kid again in the outdoors. Many resorts offer year-round activities to suit your adventurous style. From treetop trekking in the summer to snow tubing and snowshoeing in the winter, these places are sure to get your heart pumping. If you’re keen for some intense physical activity, may we suggest heading to Hardwood Hills? Just north of Toronto about 2 hours, this ski and bike facility offers over 80 kilometres of rolling trails through pine forests for mountain biking and cross-country skiing. They have expanded their activities list to include a disc golf course, volleyball, hiking, and running. There’s a cafe and accommodation nearby to make sure you have a fun and action filled weekend in the woods. Their website is great – so be sure to check out all there is to see and do! Horseshoe Resort is a personal favourite. It may not be the largest ski hill in Ontario, but the grounds offer adventurers so many activities. From treetop trekking in the summer to having the longest snow tubing hill in Ontario in the winter, Horseshoe has a ton to offer on weekend getaways for couples in Ontario. You can read more about the activities offered at Horseshoe in the summer here. Oddly enough, Ontario’s unique geography makes it the home to many gorgeous waterfalls. Conveniently, no less than one hundred are actually located in a specific area of Southwestern Ontario. Obviously, if you’re thinking about Niagara Falls you’d be right to do so. It’s an important one and you should definitely go. But for this post, we’re referring to ones in and around Grey County. While they are all accessible to hike to in the summer, most of them are also accessible in the winter! You can find more information about them here. Ontario is unique because of its geography – the Great Lakes are a fundamental part of the landscape. That being said, there’s an incredible amount of beaches that have formed from millions of years of erosion. For you, this means many places to lay on the comfortable sand and let the summer sun do its thing. If you’re looking for a relaxing weekend getaway for couples in Ontario, there are numerous beaches for you to choose from. In their respective towns, you can rent a little cottage and let the stress of real life melt away. We’ve listed just two of the most unique and popular below. Feel free to do some extended research to find a beach nearest you! Also known as Pinery Provincial Park, the beaches at Grand Bend have been entertaining couples for over 100 years. With 66 kilometres of shoreline along Lake Huron, one of the 20 designated beach areas are sure to meet your expectation for sun and swimming. There’s also lots to do activity wise – from food tasting to exploring the festivals held in and around the theatres in the region. Check out Grand Bend to start planning your beach getaway. Long Point is actually a Provincial Park – but the beach is well-known to those familiar with Lake Erie. As the fourth oldest park in Ontario, it’s understandable why Long Point is such a great destination for couples: there’s 1.5 km of sand covered beach and Lake Erie is typically warmer than Lake Ontario. The park is officially open from May to October and boasts great boating and fishing opportunities as well as space for camping. Fun fact: one of the largest bird migrations in North America happens here. Learn more about the beach at Long Point. Speaking of Provincial Parks – the outdoors may still be calling you. Luckily, you’ve got 335 Regulated Provincial Parks to choose from! While this may seem like a difficult task, there’s definitely some that are more popular than others. going to offer you two to check out – both of these are well-known if you’re in Ontario. Oh, and if you’re looking for Algonquin – well, you’re going to have to read about one of the biggest parks in Ontario in our other post on weekend getaways! Often referred to as “heading to Tobermory” this is a classic park in Ontario. The Bruce Peninsula is a gorgeous area on Georgian Bay with a variety of unique aspects that make this park a gem for adventuring couples. Notably, you’ll be able to see the Grotto – a famous geological formation that makes the visitor’s photos year after year. You’ll find some of the finest camping in Ontario, and you can learn more at the official website. “The Kawarthas” are another famous lake/forest area in Ontario known for picturesque sunsets and protected wilderness. As such, Kawartha Highlands Provincial Park is fantastic to visit for camping, hiking, canoeing, and much more. This Provincial Park is actually the second largest park in Southern Ontario next to Algonquin. Located in Bancroft, it’s a 3.5 hour drive from Toronto but certainly worth the trek. You can even rent a cottage or a cabin for the weekend and enjoy the outdoors. Here’s a link to read more about the seasonal operations. It goes without saying that Ontario is absolutely massive when we’re talking about geography. There’s plenty of unique towns and cities to discover that are all accessible by train, bus, or car. We cover a few more cities like Ottawa in other posts about things to do on weekend trips. Good old Kingston. Eric lived here for 7 years so we’re just going to get that out of the way now. It’s a fantastically historical city with lots to do and see. As Canada’s first capital (it got moved to Ottawa), the ties to the development and history of Canada run deep here. Kingston is located about a 2.5 hours drive from Toronto, 2 hours south of Ottawa, and 3 hours west of Montreal – making it a great staging area for a full trip or for a fun stop on a continuing trip. Kingston is fantastic in the summer with Lake Ontario hugging the shores for kilometres. You can get ice cream and walk the downtown core checking out the small markets and shops. You can even book a “trolley tour” that includes a cruise of the Thousand Islands region of Ontario. In the winter, it’s a bit chilly – but don’t let that stop you. You can go ice skating at Springer Market Square, featured above. It’s been said that Kingston has the most restaurants per capita in Canada – and Eric can definitely attest to this fact. Kingston is a food-lovers dream – with Thai, Cambodian, German, or Greek all within downtown. The old buildings are beautiful, the waterfront is beautiful, and there’s lots of great bed and breakfasts to stay in tucked away in the old neighbourhood downtown. Planning a Weekend Getaway in Ontario is Easy! There you have it! A quick guide to getting you and your partner out and enjoying the weekend in Ontario. Okay, what did we miss? Probably a lot! There’s so much to do and see in the province, this guide is just a small sample. We’d love to hear what you have to recommend so please feel free to comment below! We’ll be out chasing waterfalls. As always, Happy Waddlin’ in Ontario!